It wasn’t that her baskets weren’t photographed well enough, or the listing copy wasn’t compelling enough, or even that she wasn’t networking on social media enough. 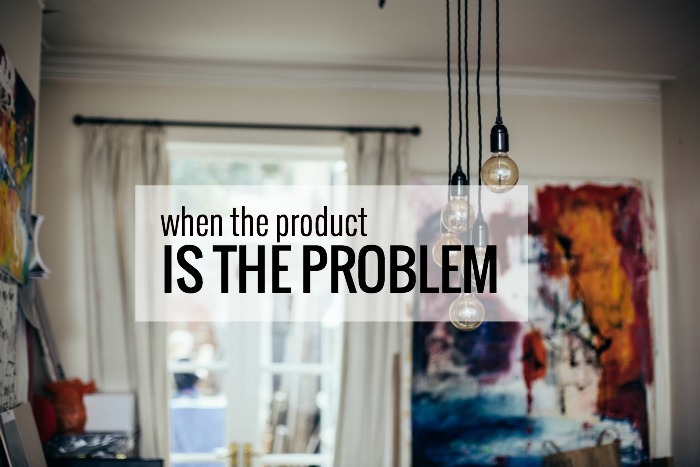 The product itself was the problem. On the left, one of Kim McBrien’s handmade basket screens. And on the right the hand-dyed yarn she now sells. I relate to McBrien’s story. For many years I made and sold soft sculpture birds on Etsy and in stores and galleries. It was great fun, but the birds were never very profitable. They were highly detailed and I would either have to price them so high they’d never sell or price them lower and not be fairly compensated for my time. The finished product was rather delicate, too. If a customer in a shop bent the wire legs the bird would no longer stand. Customers weren’t sure what to do with a bird – it wasn’t a toy or a Christmas ornament, so what was it? And how should they clean it? 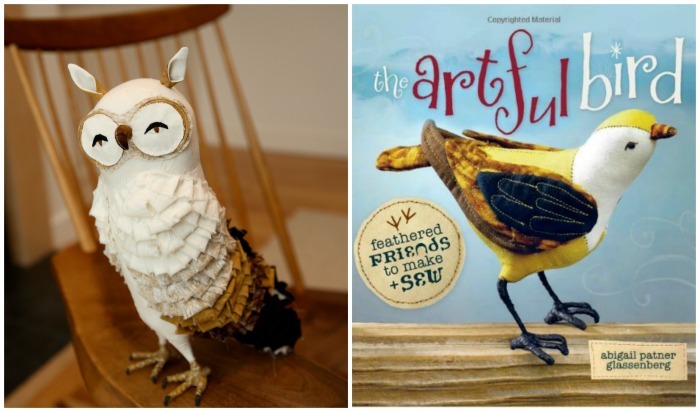 An owl I made in 2009 and the cover of my book of bird patterns. 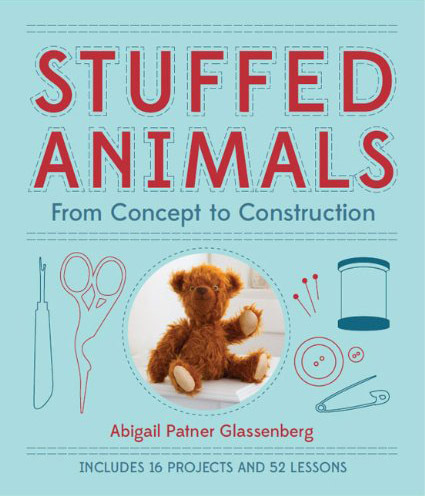 In 2009 I had an idea for a book about designing stuffed animals. I wrote an overly complicated book proposal and sent it off to seven publishers. Five of them wrote me back and a few days later I was on the phone with the acquisitions editor at Interweave. She said while she liked my proposal she wondered if instead we might do a book of the birds. I decided to go for it. 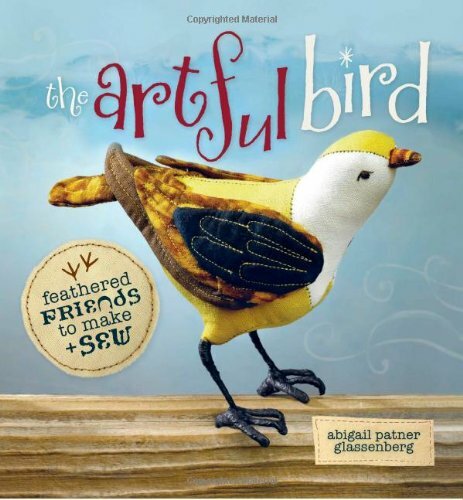 My book, The Artful Bird, came out two years later and sold really well. It was named an ALA Booklist top 10 book of 2011 and I’ve made just over $20,000 from it to date. The birds themselves weren’t a viable product. They were lovely and fun, but they weren’t profitable enough to allow me to build a business. For me at that time, the product was the problem. We’re so lucky to have a tremendously supportive online community of makers today. When someone expresses disappointment that their product isn’t selling on Etsy we’re eager to help, pointing them to resources for improving their product shots or writing better listings or improving SEO. And of course all of those things are vital to having a successful handmade business online. But there are times when the crux of the problem is the product itself. Some handmade items are incredibly time-consuming to create and have to be priced higher than the market can bear. And sometimes the handmade item itself is not made in a quality way or with quality materials. I think there’s a market out there for almost everything, but that market might be so small that it can’t sustain a business. Or it might be very difficult to reach. Abby, thank you for this honest post. The topic is one that I have contemplated over years of hand crafting a variety of items. Sometimes brutal honesty, in the form of negative feedback, is what is most needed to get a crafter going in the right direction. Have a great day! This is such a tough topic to talk about, even when someone is asking for criticism! 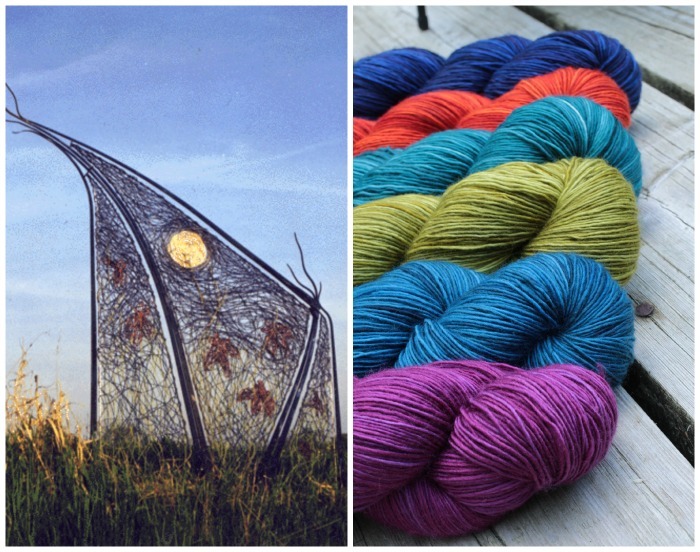 There’s a thread in a designer group on Ravelry called, “Ever wonder why a design didn’t do well?” and despite being for critique, there’s often an awkward dance around the explanations for why a pattern might not have sold well whenever the answer is that it’s the product itself and not something marketing related. It’s both hard to say and hard to hear that a product that so much work and effort has gone into is never going to be a success and that it’s time to start over from scratch with something new, so other explanations get trotted out and push aside the real problem. Another piece of this is that not everyone appreciates handmade items as gifts, either. I’m not talking about when someone doesn’t understand the time and effort and love you’ve put into making something. I’m talking about when you make something for someone else and they just don’t really want it or can’t really use it. Case in point: when my BIL was dating his now wife, I knit her a big beautiful cabled scarf out of baby alpaca. They live in North Carolina! It’s never cold enough there to wrap up in a super warm big scarf like that. She accepted it graciously but I’m sure she didn’t wear it and I doubt she still has it (that was years ago). As the maker movement grows and the handmade market gets bigger and bigger, so does consumption of supplies and the resources used to produce them. I think we have to think long and hard about what we’re making (and in some cases selling) and whether these are things people find useful and important. It’s a hard truth, but one we need to face. That’s a good point. I tend to buy people handmade items that I feel confident they’ll love rather than make them myself. It takes the pressure off of everyone. Sometimes a bit of tweaking will be enough to make a product viable. I love making miniature books, but initially had difficulty selling them. It was only when I started labeling them (and making minor modifications) — book ornament, book necklace, book keychain, etc. that I was able to start selling a lot more. In my mind, it was more appealing for the miniature book to be “anything” that the customer wanted. It took me awhile to figure out that most people don’t think that way. Most people want things to fit neatly into a category! What a great example! Once you were able to see your product through a consumer’s eye you could tweak it and find a larger market for it. There may have been a market for a miniature book all on it’s own, but there’s a larger market for a miniature book that’s also a thing. And now you can still make what you love and have a viable business. I recently attended a mini craft fair as a vendor. I didn’t sell much. People would stop by and look and many of them would point to something on my table and ask “what is that?” The booth across from me was selling candles, lots and lots of candles. I couldn’t help thinking that my items were just not straightforward enough. A candle is obvious. You know what it looks like, what it does, how to use or display it. If the potential customer has to ask, chances are they won’t buy it. It might be a really clever product or idea, but to sell something, people must know what they can do with it, even before they approach your table, before they click on a listing thumbnail, before they ask “what?” It’s a tough lesson, and sometimes an expensive one, but, the sooner it’s learned, the sooner we can get on with making things people want to buy. On a related note, perhaps a forum where “negative feedback” can be left anonymously would help people feel more comfortable sharing the truth. Craft fairs can be so painful this way, but also valuable. If in person it’s hard to determine what your products are for, I imagine online could be a challenge as well. There’s nothing more valuable than watching people walk up and react to what’s on your table, but man it can hurt, too! I love the idea of a forum. If you know what you’re in for, hearing “constructive criticism” can be much easier coming from strangers. Maybe we could start a thread on the Craft Industry Alliance. I love your blog – so honest and helpful. Thanks so much for this, Abby. Though my product (Christmas book) isn’t handmade, these are precisely the kinds of questions I’m pondering. Had a great first year (last year) and expected to build on that momentum this year. But it’s been very slow. It”s confusing and sometimes heartbreaking and there’ve been many moments of questioning my sanity in starting this second biz in the first place. But this post gives me courage to ask for that feedback from friends and family in January and reevaluate my approach. Thanks, as always, for your smart and thoughtful writing. Marketing is so hard, Betsy, and especially for a storybook that we really need to read and see before we can evaluate. That’s a whole other challenge! I couldn’t agree more with this. I used to try and sell my handmade jewelry on 2 different Etsy shops. I found out the hard way that selling jewelry is an incredibly saturated market. I would see so many posts on the Etsy forums saying, “Why don’t I get any sales?” Like Andi said earlier, very few people wanted to go out and say, “you are not be selling something that will sell.” or “You need to change your product” The point you made about pricing is good. I agree that there is a gap between what people are willing pay and what it costs to make on certain items. I have been told I should sell handmade hats. When I see how much people pay for hats at stores vs how long it would take me to make them; I could never see how I would make any money at it. I also agree with the point made earlier that not everyone appreciates handmade. Unfortunately, I also found out (at least with jewelry) that if you make something that looks similar to a product that could be bought in a chain store for a lot less;, a lot of people will go out and buy the cheaper one and won’t care if it is handmade. I hope I don’t sound like a killjoy but this post bought out a lot of things I learned the hard way. 100% agree that the jewellery market is too saturated. Many say that to stand out it has to be unique. No doubt. But so far those that I consider unique are not what I will buy or wear. They just don’t fit my style. Sometimes an item is not unique and I like it. But the price is beyond my budget. Thanks Abby, This is a thoughtful post and your suggestions/advice are timely. I plan to spend the next few months thinking and planning how I can approach the handmade market in a more profitable way. I have a small Etsy shop that features handmade and vintage, but I realize now that focusing on one or the other may be the best route. Your dialogue regarding the challenges offers a good outline for me to use as I approach the decisions I need to make. I guess I also need to search my soul and see which direction includes my passion. And thank you, again, for your transparency. You are a generous business woman. Blessings for a productive and fulfilling new year. Sounds great, Leslie! I’m excited for you. What a good reminder for us sellers to do a reality check, no matter how painful, before buying new cameras and powering through social media e-courses. I love the thoughtful responses people have posted here telling their own handmade business experiences. Your blog encourages honesty, Abby, and it is refreshing to find so many people willing to share their knowledge in a straightforward way. Love this post. 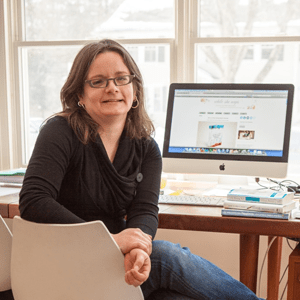 I’m just finishing up Tara Swiger’s Lift Off course and one of the things I learned working through her incredible material was that a product line I had invested money, time and creative energy in for two years just isn’t viable. It takes too long to make for what people are willing to spend in an over-saturated market. Big girl pants pulled up and I’m taking it out of my shop. Your post just confirming that I’m making the right decision. Still don’t know exactly where I’m going but excited to be moving on. Thanks! I think what complicates matters a bit is that we can probably all think of simple or not-so-great things that have hit it big. One tends to think, “If X is successful selling Y, then I should be successful selling my stuff which is superior to Y.” But it could be random luck for X! One of my professors in public policy school years ago called this the “Gerald Ford” effect. He said politicians look at Gerald Ford and say, if a mediocre person like him was President, I could be President! But, my professor said, it was very unusual for Ford to become President. You can’t count on being the lucky person who gets what s/he doesn’t deserve. I agree that hearing negative feedback isn’t easy, but it is sometimes necessary for growth. I was in a quilting class recently and showed one of the participants (whom I ‘d only met that day) a sample of a new quilt pattern I was working on. I have to say I was pretty excited about it until she told me she didn’t like it. My knee jerk reaction was to be irritated, but then I asked her what exactly she didn’t like about the design. Her response -too much negative space – resulted in me making changes that made the design much better. If I hadn’t asked, then I never would have reworked the design and the pattern wouldn’t have been as good. I have been doing a lot of evaluation lately about the direction I need to take my business in and wondering if its okay to take a different course. Thanks for this great post. It has helped me to see that the evaluation I am doing is a positive and necessary process. The comments, and your article, have really pulled together many components of a business that handmakers struggle with. We want to get on board with “creating the life we love” but have to balance that against the realities of market value, desirability, and subsequent product viability. It’s almost painful to have to think that way when what you want to do it share, give, explore and invite the world into that delicious mode of being. Being able to wear both the artist’s smock and the business woman’s suit is a part of the process of developing a sustainable and profitable handmakers business. And revising product line is crucial to that. It’s something every factory-made business does. I think it’s just feels a bit more like infanticide when handmakers do it, because it feels like we’re killing off something we’ve long carried, birthed, and nursed. The emotional component is not to be discounted, for sure. But if we want financially successful businesses, we do have to find the balance with the right product and process. Such a good topic. Always relevant. Thank you, Abby. This post is excellent. Just what I’ve been thinking about lately. CreativeLive offers amazing business & marketing info. Yet, sometimes I was wondering “what about the product ?”. 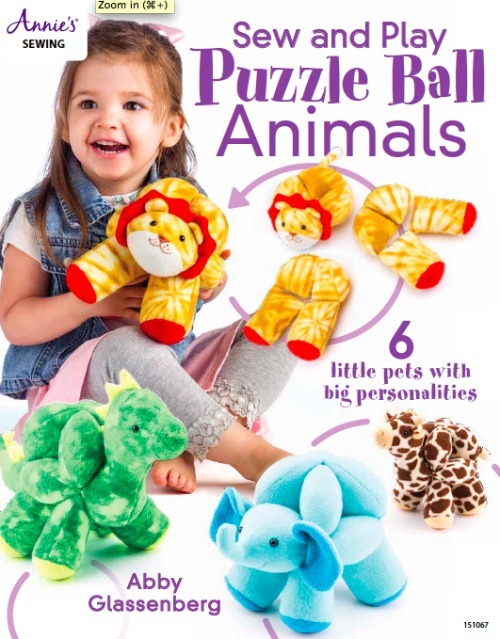 Is it really good enough to sell, or does it fit exactly with what customers need and want ? Thank you for this, Sylvie. 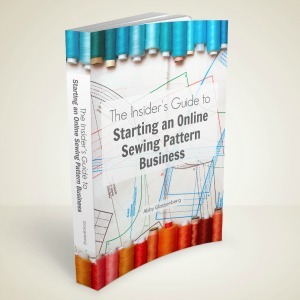 When I look at my own patterns there are clearly certain ones that out sell all the others. Last year I set out to make more like those just to see if I was right and I totally was! I think it was an important exercise to put out designs for a variety of things I love to make and then gather market research. A bit late to the party, but just thought I’d add my two cents… People often compliment things I’ve made and excitedly tell me “you should be selling that!” and I always say “Thanks, but how much would you pay for it?”. Their answer is never enough to make a viable business. I think when you ask for feedback, how much someone would actually pay is a very important question. Don’t forget postage! It can be a real deal-breaker. Of course, be *really* honest with yourself when working out how much something actually costs to make. What a timely post (even though I’m late to the game!)! I’ve had the sneaking suspicion I might be in this category. It’s crazy because when I show people my product in person, they say, “I LOVE this! You should charge more!” but then sales are next to nothing. It’s been a challenge to find my market—my tribe, if you will–who will actually spend the money on what is otherwise a great idea (READ: not Etsy). You’ve definitely given me food for thought!